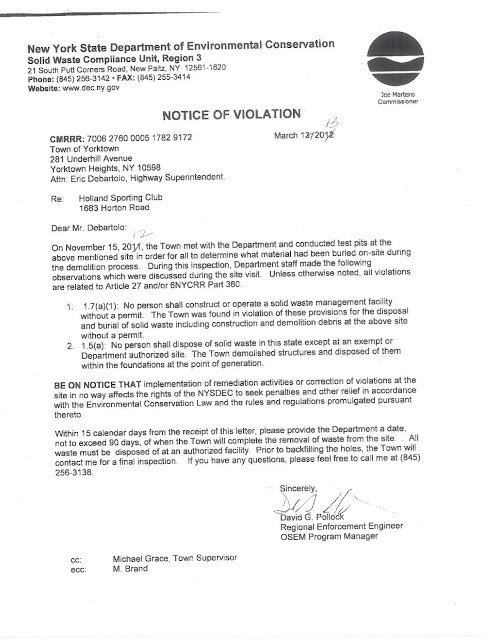 Yorktown received a violation for the half-assed demo job they did at the Holland Club. Much more to follow. In the meantime, you can follow along at home by liking Friends of the Holland Club on facebook, here.